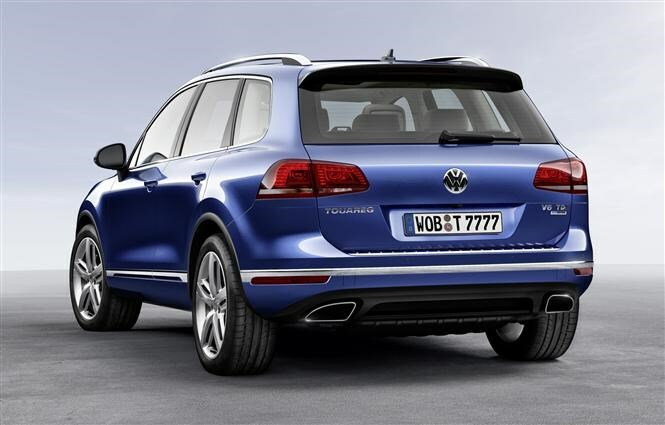 The Volkswagen Touareg, the German company’s largest 4x4, has been given a few design updates for 2014. Unveiled at the Beijing Motor Show this week, the exterior changes are most obvious at the front with a new four-bar grille and wider looking front bumper. At the rear it’s more a case of spot-the-difference, with a more subtly altered rear bumper and LED fog lights. Ever-so-slightly different door mirrors, new colours and a new range of alloy wheel designs round off the visual changes. Apart from the styling tweaks, the Touareg’s equipment list has been expanded to include bi-xenon headlights and an automatic post-collision braking system, which applies the brakes in the event of a collision to lower the chances of a secondary impact and prevent the car rolling into the path of other traffic. There’s also a new fuel-saving coasting mode for the Touareg’s eight-speed automatic gearbox. Should you spec a Touareg with the optional radar cruise control system, it has a new party piece. If it senses an imminent collision during low-speed city driving it can automatically perform an emergency stop. Not only that but it can be set so that the car automatically pulls away in stop-start traffic. VW’s engineers have also been at work on the engine range to ensure the Touareg’s V6 diesel TDI engines fit the tougher EU6 emissions regulations. Fuel efficiency has been improved slightly for this engine too. 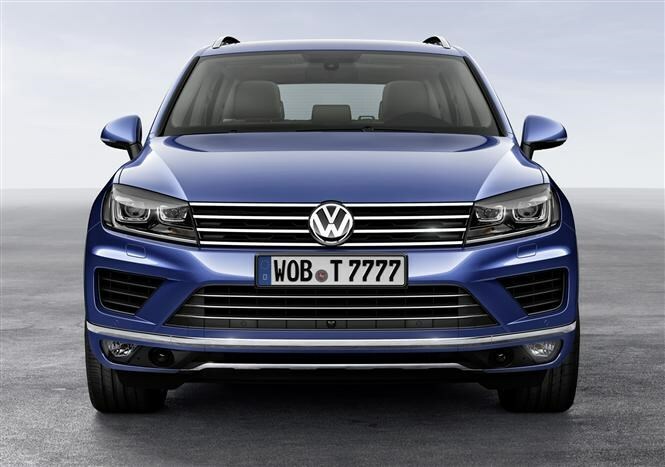 Order books for the revised VW Touareg open in August 2014 and cars should reach UK customers in November. We're fans of the Touareg because it's a great blend of versatile four-by-four, practical family car and comfortable cruiser. It doesn't cost huge amounts to run either, especially when compared to the Porsche Cayenne which shares the same platform. And unlike many of the cars available now that look like a 4x4, this one is very capable as an off-roader too. 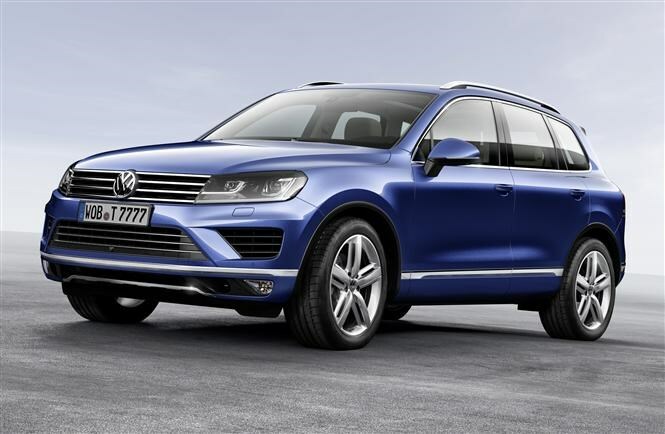 As usual, Parkers will be among the first in the world to drive the face-lifted Touareg. Check back soon for our detailed evaluation to find out how it fares. Read our existing full Volkswagen Touareg review here. 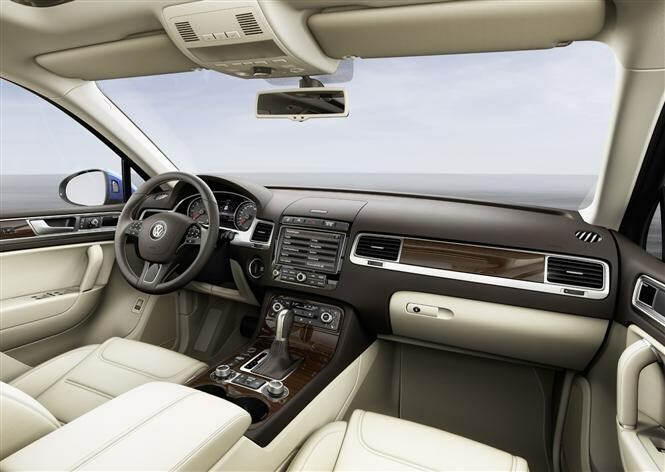 Did you know the most popular review for the Touareg range is the Volkswagen Touareg SUV review.